*If you want to signup with a Life/Youth/Spouse membership, please send an email to Kenneth Nilsestuen (secretary@aape.org) stating which membership you are interested in knowing more about it - then an amount can be agreed upon and we get no unexpected payments. 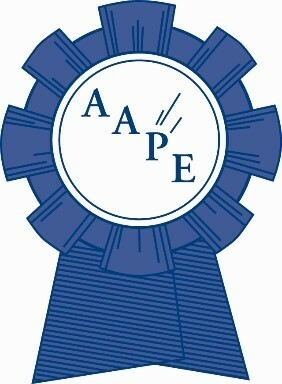 You are invited to become a member (or renew your membership) of AAPE - American Association of Philatelic Exhibitors. Join with novice to advanced exhibitors from around the world in stamp collecting�s only association for all levels of philatelic exhibiting. Our field is stamp collecting�s most fascinating pastime and the AAPE is your #1 way to keep abreast of every facet of exhibiting and to learn effective exhibiting techniques. You can pay for 2019-2020 dues and up to 4 additional years may be paid in advance. Prices below include the $1.50-$2.00 handling fee for Paypal. All amounts over the annual dues are a tax free donation. Members at these premium levels (Contributing, Sustaining, Patron) will be listed on the website and in TPE (if so desired). Thank you for supporting AAPE.